If you're itching to plant a garden or renovate or add to your landscaping, nurseries and garden centers in the Reno area can give you ideas and advice on what's best to plant in the northern Nevada climate. Check out these locally owned nurseries for one-on-one advice from garden professionals who can help with herbaceous gardens, trees, ornamental choices, and landscaping plan ideas that will be successful in the Reno area and your environment specifically. Tell them where you plan your garden or landscape area and describe how much sunlight it gets, the type of soil you have and any other growing issues. Moana Nursery is one of the biggest in the Reno area and stocks plants, trees and shrubs that will thrive in northern Nevada's climate and soil. Moana also has a florist and offers landscaping services and a rocks inventory; check it out if you want to add some natural interest to your yard. Truckee River Rock & Nursery Co.
Truckee River Rock is a one-stop source for landscaping design and installation that can include the whole enchilada: paving stones; landscape lighting; underground irrigation; water features like ponds, fountains, and waterfalls; and outdoor kitchens and fireplaces if you have a generous budget. Rail City Garden Center in Sparks stands ready to help you will all your garden needs in the way of plants. But Rail City also can give you advice on lawn care, pest control and birds. Rail City is also the place to find landscape supplies, gardening tools, poultry-raising needs, seeds and fertilizers, birdhouses and water feature supplies. Lowe's is, of course, the place to go for all things home. That includes a large garden center that has great prices on perennials and annuals, hanging baskets and seasonal planted pots that you can take home for instant color with no hassle. 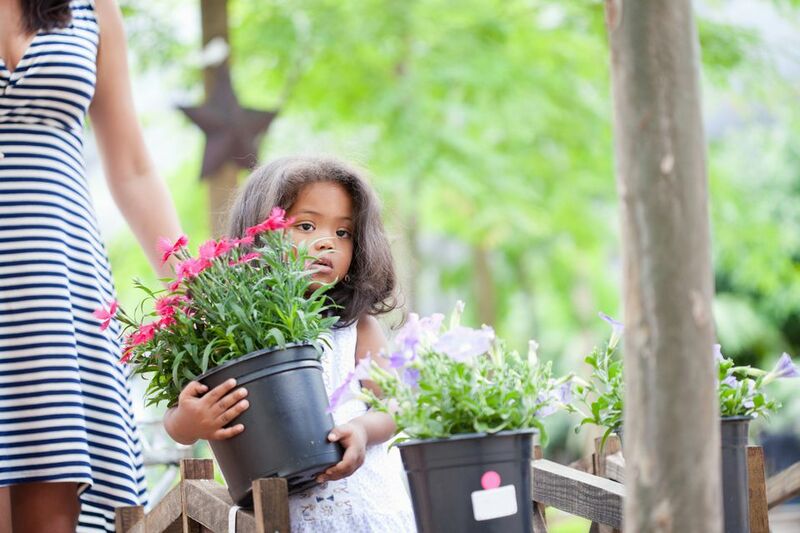 Lowe's also has garden supplies like containers for porch and patio, planting soil mixes, topsoil for landscaping issues, mulch, garden tools and gloves, hoses and watering equipment, fertilizer and seeds. If you are an experienced gardener and don't need a lot of advice, this is a good nursery to keep on your radar. You might not find a wide variety of unusual plants but you will find all the usual suspects and usually at a price that's lower than a nursery. You'll find a Lowe's store in both Reno and Sparks.